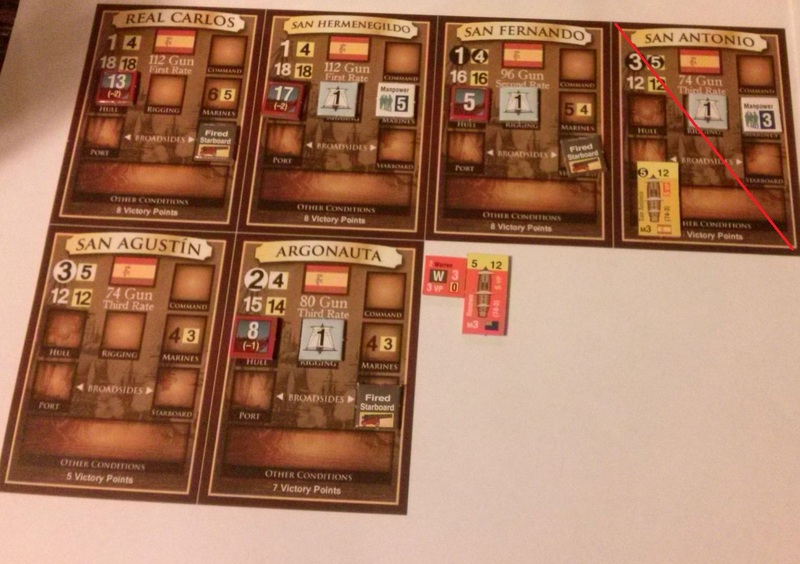 Yet another interesting scenario in Flying Colors – El Ferrol which we played with Jakub. This is hypothetical scenario but based on real situation. The encounter takes place in north-west Spain. Historically, really strong Spanish contingent did not left the port being afraid of British forces. So UK ships sailed into the port and took it. 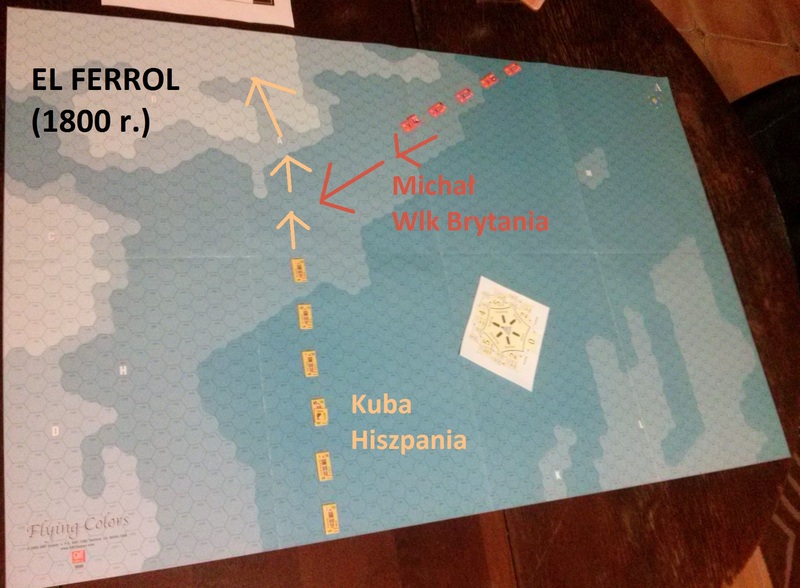 Unfortunately, the cowardice of once magnificent Spanish Armada was obvious. Above we see initial situation. There is 6 Spanish ships, 3 of which are first-rate ones (the biggest!). Great Britain has 5 ships all of which are second-rate. Kuba manages superior forces of Armada while I took command of the brave marines of the Empire on Which the Sun Never Sets. 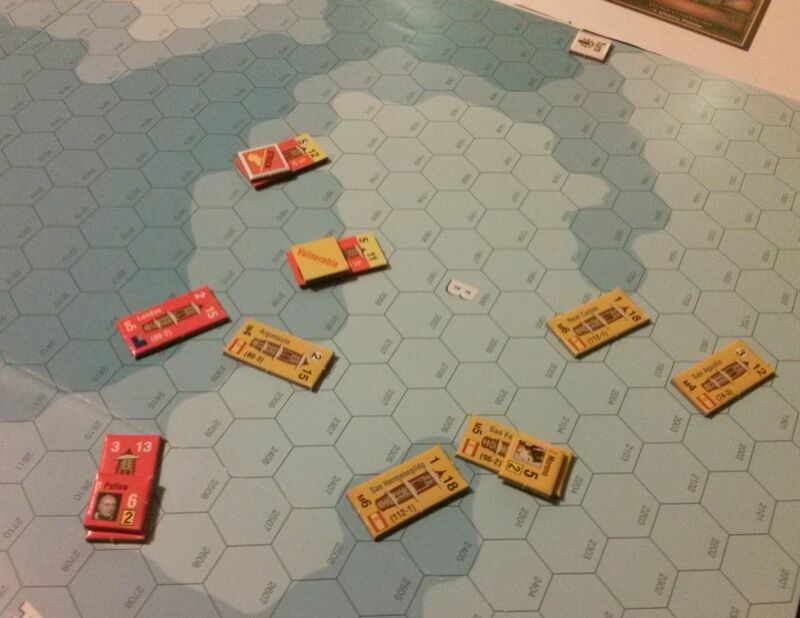 British ships inflict significant losses on Jakub’s ships but they are not without hit. The the luck abandons me. I am losing the initiative roll 3 times in a row and Kuba manages to move before me. 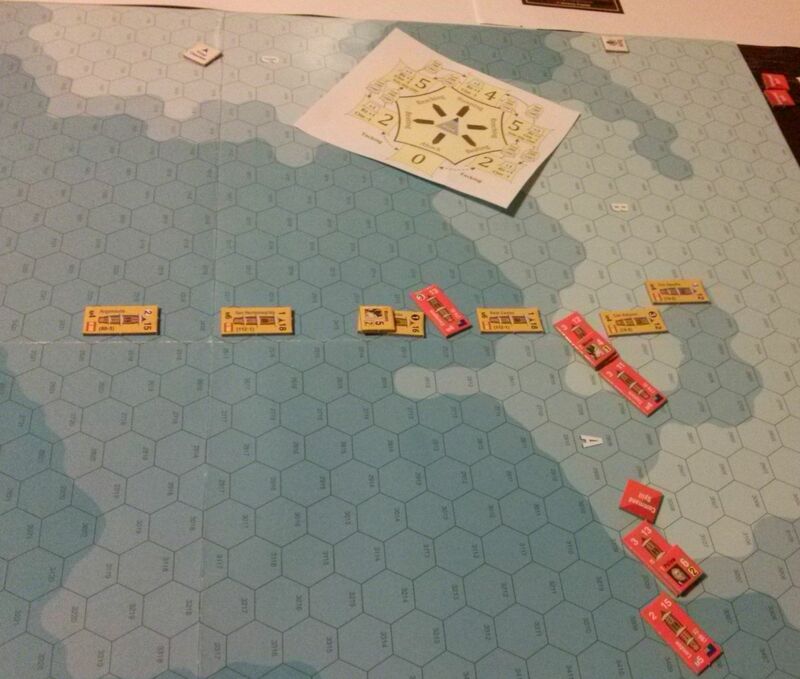 We have clearly war on attrition which British ships -0 smaller, and not so well equipped – cannot win. 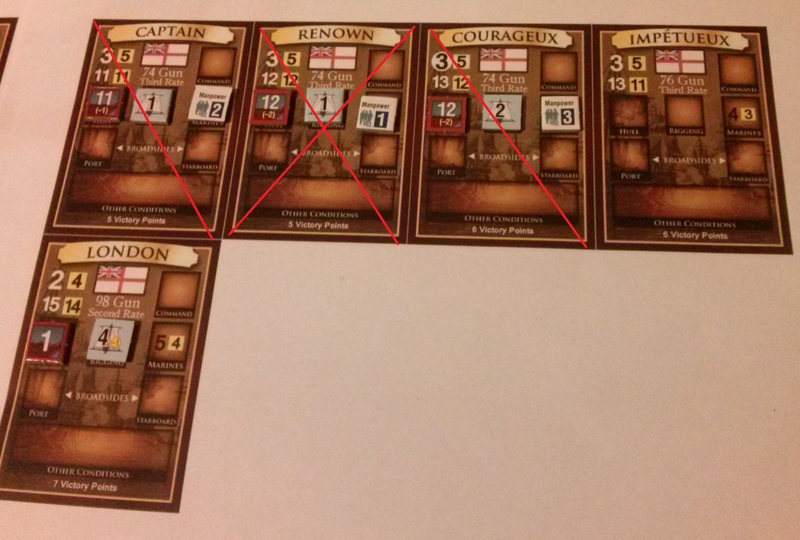 We actually counted the losses and Kuba inflicted 72 hits while I managed to achieve 67. Still that translated to one of my ships sunken and two severly damaged, whil Spaniards had only one ship severly damaged and two lightly. Next scenarios will come – hopefully, as well exciting as this!